In the Fitzy house we have six very discerning eaters. Some like this…some like that…and some are a little pickier than others (totally not pointing fingers at my youngest 🙂 ). One thing we can all agree on is Mexican food. Regardless of the dish I make everyone gobbles it up. Tacos are a weekly favorite along with occasional fajitas and enchiladas. Another favorite is Mexican rice. We used to make it from a box until we created this yummy recipe that tastes just as good as the restaurants make. There is something magical about using fresh ingredients to create a dish you love. Sautéed garlic provides a beautiful based for this dish that will excite your taste buds. Add fresh tomatoes and the favor explodes. Combine just the right spices and this dish will not disappoint. Honestly I like to eat it all by itself. It is that good! I will normally start the rice first and then let it cook while I am cutting up all the ingredients for tacos or fajitas. If you are like me and struggle to properly time the completion of all food items, this rice is perfect. 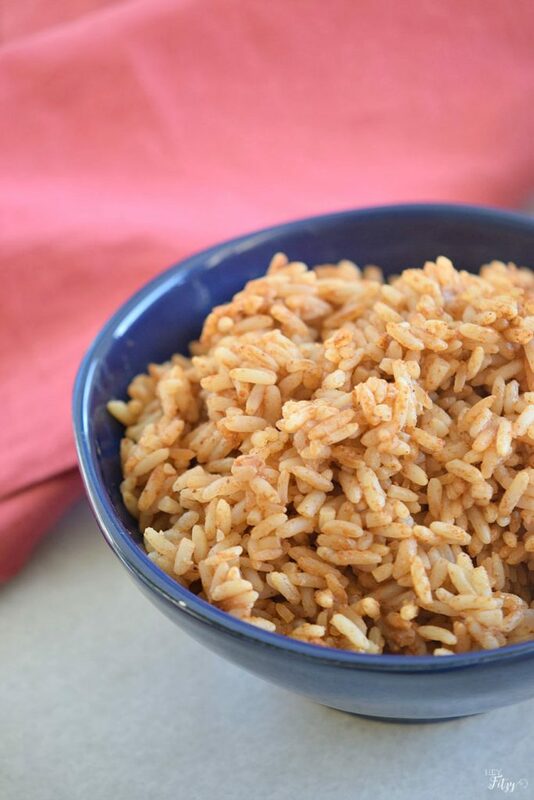 If you finish the rice a little early, simply remove from heat and leave the lid on until you are ready to serve. Cut the onion and tomatoes into chunks. In a blender add the tomatoes, onion, half the chicken broth, dried cumin, chili, coriander, lime juice, salt, and pepper. Blend until well combined. In a saucepan over medium heat add the vegetable oil and garlic. Stir and cook until fragrant. 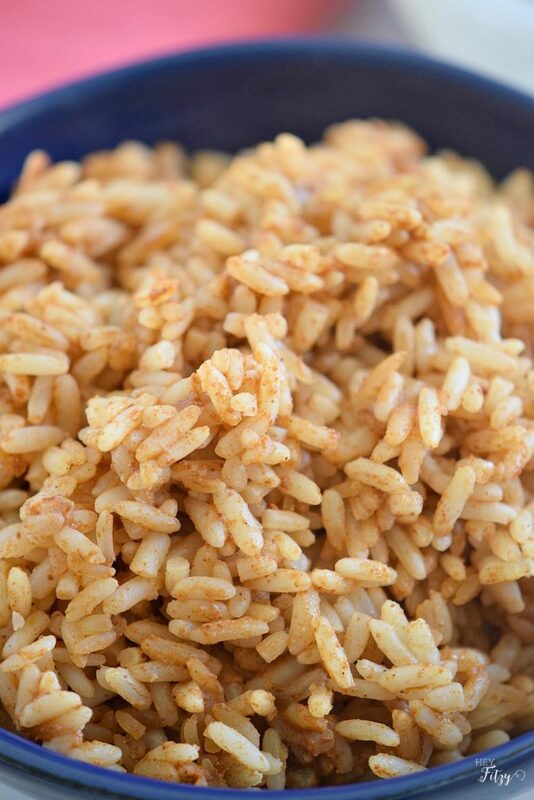 Incorporate the rice, cook for 5 minutes or until golden. Stir occasionally. Pour the tomato sauce over, combine, add the remaining chicken broth, cover and bring to boil. Reduce heat and let it simmer until all the water is gone. When done, remove from the heat and let it set for 5 minutes. For a non-spicy version discard the chili. A simple bowl of rice is the perfect addition to your dinner meal . 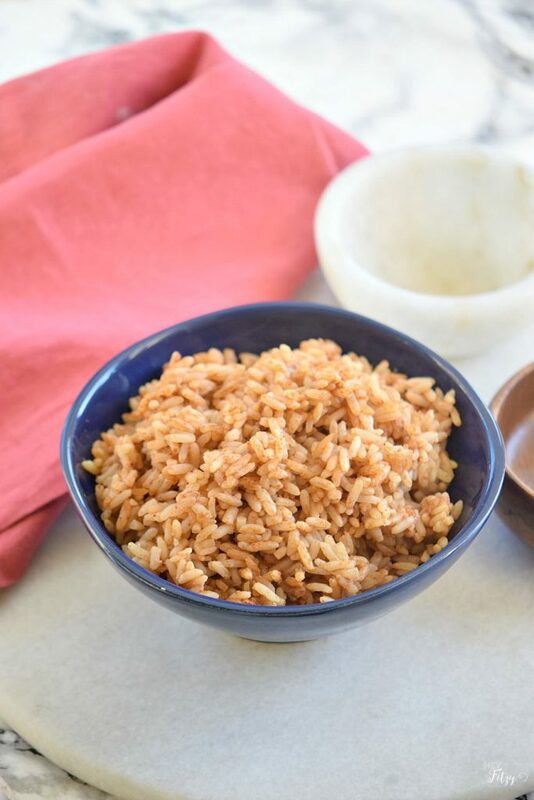 This recipe for Mexican Rice will nicely compliment your favorite dish. Any left overs can easily be stored in the refrigerator for a few days and warms up nicely. Whenever I ask my kids what they want for dinner…nine times out of ten they say tacos! What is your family’s favorite go-to meal that everyone will eat? Definitely going to have to make this for the husband. Rice is his starch of choice, and he often craves Mexican food. Win-win! 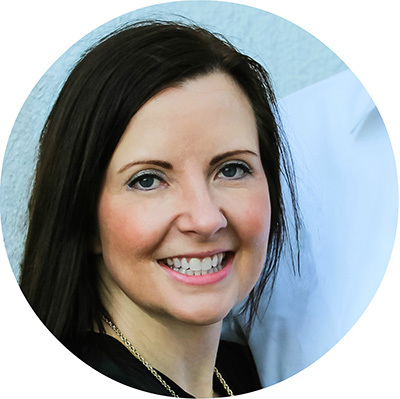 Hi Leslie, If he likes Mexican food I think he will really like this. It's yummy! Oh my gosh, I can't wait to try this! There is nothing I love more than Mexican food, and there are not many great Mexican restaurants in our part of New England. We usually make it at home at least once or twice a week, so I'll be adding this to our menu soon! Hi Robin, I hope you love it as much as we do! Mexican food is certainly one of our favorites and so we make this as a great side dish often! Thank you Janet! It really is good and I hope you like it!